Yury teaches in Bentleigh studio. Yury regarded as one of the finest Double Bass players in the world. He studied at Moscow Conservatoire, where he qualified as a Chamber music performer, Orchestra soloist and teacher. In 1972 Yury won the Double Bass category in the national Koussevitsky Competition of the Soviet Union and recognized as the best performer of the Koussevitsky Double Bass Concerto. Principal Double Bassist - Bolshoi Theatre Orchestra, Opera Orchestra of New York City and Philadelphia Orchestra, The National Symphony Orchestra of South African Broadcasting Corporation and the Auckland Philharmonic Orchestra. Recently Yury was a Double Bass Teacher at the Victorian College of the Arts and Melbourne University, as well as performing with the State Orchestra of Victoria. 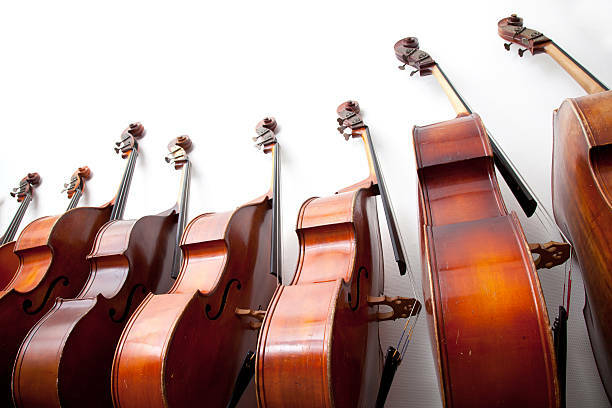 Yury is teaching the Bass, Cello, Piano, Guitar, Violin, Viola. Learn to play Double bass and have great fun. Our teachers will guide you easiely through the all levels of musicianship.